As a fan of YA fantasy, I read a a wide range of books. Most fall into neat categories: epic, romance, elemental, etc. 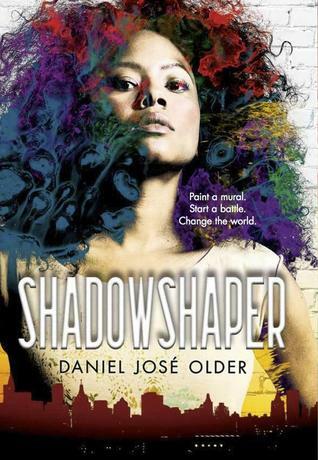 SHADOWSHAPER is a YA fantasy that defies categorization. The story centers on Sierra Santiago, who has just wrapped school for the year and is looking forward to a laid-back summer, maybe painting a little (something she loves to do), and hanging out with her friends (like most teens). Of course, that plan goes to shreds within pages, leaving Sierra firmly planted in a Brooklyn that is at once recognizable and not--a Brooklyn laced with magic, zombies, and paintings that seem to be coming to life. It all starts at your typical Brooklyn summer party, which if you haven't had the chance to experience, are magical. You're outside, but you're in the city. The temperature is warm, but the air is still laced with a danger that broods only at night in a major metropolitan area. Sierra's chatting with a boy named Robbie, who strangely doesn't annoy her as much as most boys do, when a weird, stumbling, corpse-like figure appears and chases after them. Robbie splits, and so does Sierra. She doesn't even stop to look back. That's the kind of common-sense determination that sets her up for a journey through the world of Shadowshapers, an ancient order of people who connect to spirits through paintings. Sierra's one of them, only she won't know how far her powers reach until she's challenged by every kind of horrible spirit-ghoul imaginable, all at the hands of her enemy, Wick (an anthropologist turned cultural appropriator of magic). With a plot that surprises at every turn and a heroine who demands to be cheered for, DJ Older has created in SHADOWSHAPER a unique slice of Caribbean legend couched in Brooklyn street smarts that you will relish word by word.